The Mobo Mobito is an exciting addition to the Mobo brand and it’s sized just for kids. The Mobo Mobito includes all of the features that Mobo riders have come to expect: unique mobility, comfort, safety options, and an all-new innovative design. Other features include advanced back support with six angle settings and an adjustable frame designed to fit most young children. The all-new Mobo Mobito is built for fun and excitement. Other features include advanced back support with six angle settings and an adjustable frame designed to fit most young children. The all-new Mobo Mobito is built for fun and excitement. The Mobo Mobito also features an all-new emergency brake feature and rear wheel automatic alignment to allow for quick turns and stylish cruising. 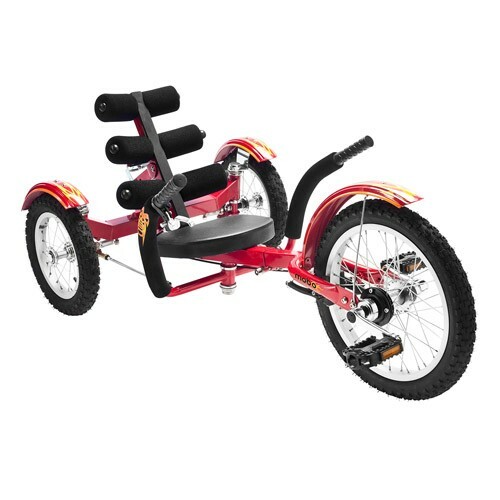 The ultimate eye catcher, the Mobo Mobito is a great way to promote healthy exercise while taking an amazingly fun ride. Height Capacity: 3' to 4'8"